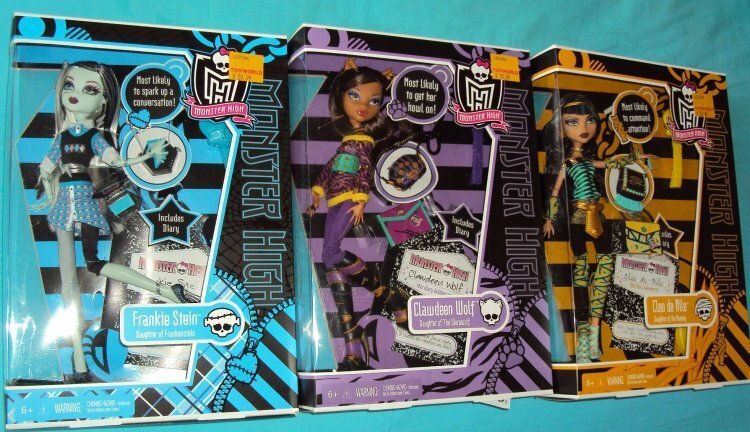 MH cleo, frankie, and clawdeen school out dolls. . Wallpaper and background images in the Monster High club. 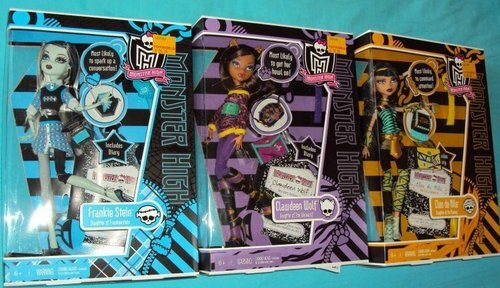 This Monster High photo contains anime, comic kitabu, manga, cartoon, mkono, mkanda mkanda, and mkanda wa kaseti.